I love a good hamburger as much as the next person, but when I have to choose between fries and sweet potato fries, I sometimes get a little flustered. It can be such a difficult choice. Sweet potato fries are really tempting year round, but in the fall they are especially tempting. Sweet potatoes seem to be more abundant this time of year. There is no reason you need to go out to enjoy sweet potato fries. They are simple to make and worth that little amount of effort. Preheat oven to 425 when ready to bake. Drain sweet potatoes and pat dry. In a large ziplock bag place a couple of tablespoons of cornstarch. 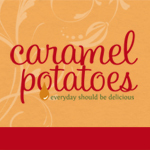 Working in batches, add a big handful of sweet potatoes to the bag, zip it up and give it a good shaking. Continue with the rest of the sweet potatoes, adding more cornstarch to the bag if needed. Place the coated potatoes on a baking tray, drizzle with a tablespoon or two of oil. This part depends on you, the less oil you use the “healthier” these will be. The more oil you use, however the crispier the fries will be and the easier they will be to remove from the pan. I prefer to give my fries a good coating of the oil, because I like a crispier fry. Use your hands and really mix the oil around all the fries. Add a little salt and pepper if you like at this point. Arrange fries so that they are in a single layer and not touching each other. Over crowding the pan will make it difficult for even cooking. Bake 15-20 minutes, remove from oven and flip fries. Bake for an additional 5-10 minutes. Cooking times will vary depending on the thickness of your sweet potatoes and the oven temperatures. 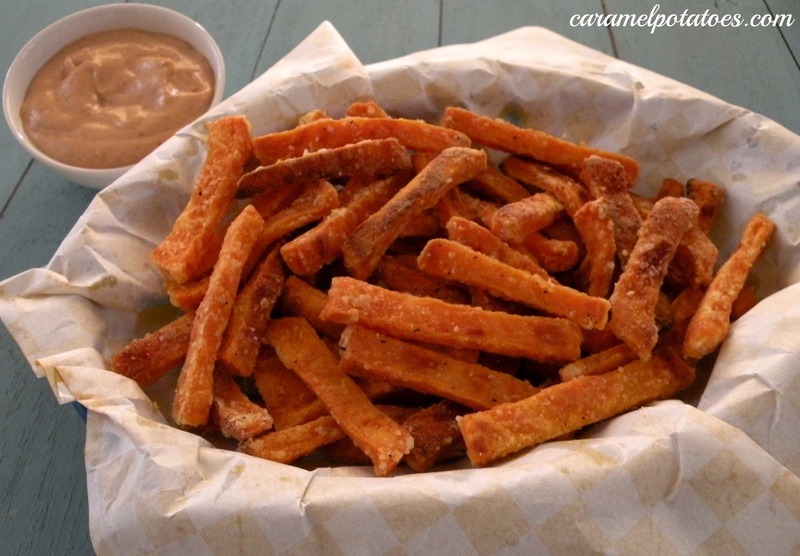 Every good sweet potato fry needs a good dipping sauce, such as Southwest Dipping Sauce. These look incredible. I love sweet potato fries and now I have a killer recipe for making them myself. Thanks for stopping by my blog and the sweet compliment. I look forward to snagging many more tasty recipes from you in the future!